A time of extraordinary change for the sector demanded a new type of event. The inaugural Retail Tomorrow conference was a huge success, with most of the retail movers and shakers in attendance saying they’d love to attend next year. The two day event took place 21-22nd February 2017 at the Four Seasons in Hampshire. It lived up to its promise: “Igniting ideas and accelerating innovation”. 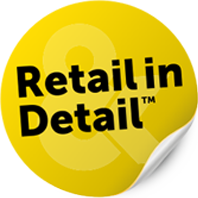 It focused on the practicalities of getting the right technology in place quickly to make the new retail vision a reality – bringing together retailers, suppliers and consultants in a forum dedicated to making change happen. customer-centricity, payment predicament, gaining and retaining loyalty, best uses of data analytics and what Brexit holds for retailers. Spread throughout the two days of were also innovative ‘Dragon’s Den’ style sessions. Designed to support retailers in trialling new technologies, retail suppliers and innovators bravely demonstrated their very latest solutions, were grilled on and them by the audience and ‘voted’ on in real-time. Not for the faint-hearted. Interested in reading the Retail Tomorrow 2017 event summary? Please fill in the form below to receive your copy of the event summary in your inbox.